Yay! 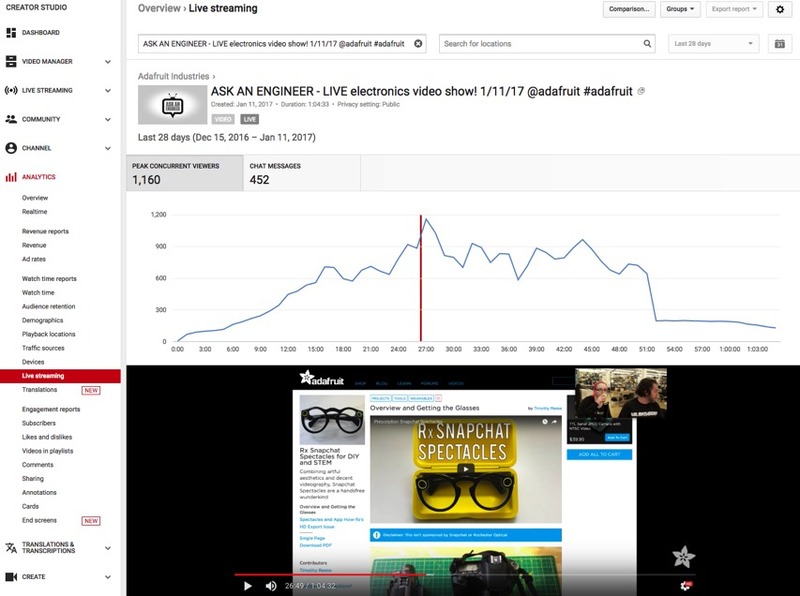 @adafruit #ASKanENGINEER live video show hit 1,160 Peak Concurrent viewers @youtube @YTCreators #metrics « Adafruit Industries – Makers, hackers, artists, designers and engineers! ASK an Engineer our weekly live electronics show hit a new record, 1,160 peak concurrent viewers. 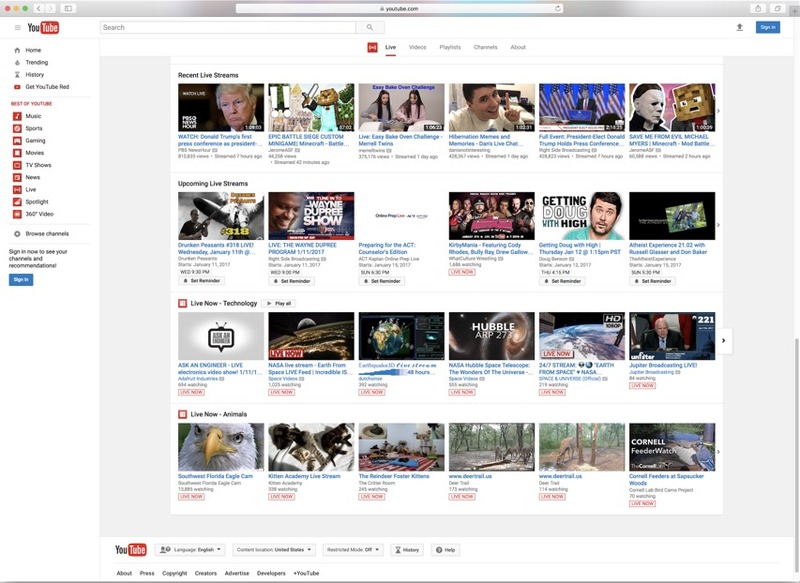 We usually have about 250 to 500 live viewers, all depends on what’s going on, however this week the show was featured on YouTube and it was a fantastic epic show as usual too, thank you everyone for tuning in, we had a goal of over 1,000 concurrent viewers by the end of the year and now we need to set our sights even higher 🙂 This is part of #metrics posts for our own team here, but we like to share these milestones with our community since ya’ll make this possible, thank you! !